Have you recently restructured, centralised or decentralised your Placements Team? Do you have a specific training need you would like to address? Are you just too far away from ASET training venues ? A bespoke training session can address all these issues and more. Our trainers will travel to any ASET member institution to deliver bespoke training, which may be delivery of a full workshop from our programme of workshops below, or a tailored combination of topics – summarised for delivery within a day. We can run sessions on one topic or can mix and match different parts to cover multiple areas. Please feel free to suggest any other relevant areas for staff development training you would like. Fees for bespoke sessions are fixed at a daily rate of £100 per delegate (with a minimum fee of £1500 per day) wherever you are in the UK. Fees for bespoke sessions are set at a daily rate of £200 per delegate (with a minimum fee of £3000 per day) wherever you are in the UK. 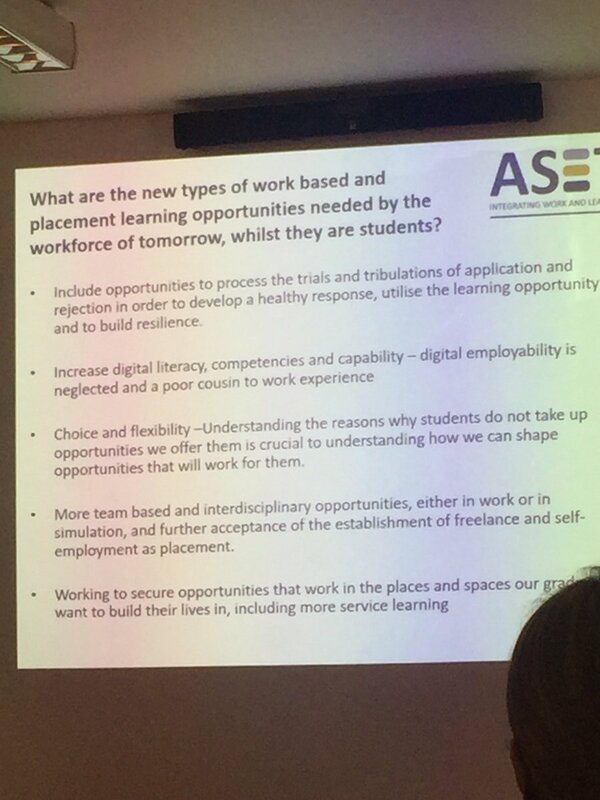 If you would like to talk about ideas for a bespoke workshop to suit a specific requirement at your institution, contact Debbie at the ASET Office aset@asetonline.org .